The difference between the Khabar and the Inshaa’ was mentioned within the book ‘Usool ul-Fiqh’ of Sheikh Taqiuddeen, may Allah cover him in his mercy, and also in the book ‘Al-Kawkab Al-Muneer’ by Ibn An-Najjaar (rh) in addition to other books related to the Usool of the Aqeedah. The example of At-Talaaq (divorce) and Azh-Zhihaar (pre-Islamic Jaahil practise for divorce) was mentioned in the two books as being Inshaa’ just as Al-‘Alaamah Ibn An-Najjaar and others mentioned that the origin of Azh-Zhihaar is Khabar. My question: I find it difficult to understand and differentiate between the Khabar and the Inshaa’!! 1 – The Khabar is the Kalaam ul-Murakkab (composed/combined speech) which accepts affirmation (Tasdeeq) and denial (Takdheeb) in the case where it informs about a matter but does not request (or demand) a matter… As for the Inshaa’, then it is the Kalaam ul-Murakkab (composed speech) that does not accept affirmation (At-Tasdeeq) or denial (At-Takdheeb) but rather accepts the performance (or carrying out) or the non-performance. That is because it requests the performing of a matter whilst it does not inform about a matter. Al-Kalaam ul-Murakkab means that it is a Jumlah Isnaadiyah (attributed sentence) consisting of the attributed matter and the matter being attributed to, whether the sentence is nounal [direct object] (Ismiyah) or verb [action] (Fi’liyah)… That is because the Murakkab (composition) in the language is that which its part guides to a part of its meaning. So for example in respect to the sentence “Qaama Zaid” (Zaid stood) it is a Jumlah Fi’liyah (verbal sentence) consisting of a Fi’l (action) and a Faa’il (doer of the action). Each part from its parts “Qaama” (stood) and “Zaid” guide to a part of the meaning of the sentence “Qaama Zaid”… The same applies in respect to the Jumlah Al-Ismiyah (nounal sentence) “Haadha l-Baitu Jameelun” (This house is beautiful.) as each part of the sentence guides to a part of its meaning. Then if this composed speech (Al-Kalaam Al-Murakkab) accepted (or was open to) At-Tasdeeq (affirmation/belief) or At-Takdheeb (denial/disbelief) in the case where it informs about a matter and does not demand or request a matter, then it is the Khabar. That is like the example of: “Jaa’a Hasan Min Al-Madeenah” (Hasan came from the city). That is because it is a Khabar (news) that is possible to believe or deny. So Hasan having come from the city is believed or denied in accordance to the evidences you have available. That is whilst at the same time nothing has been requested or demanded. If, however, this speech does not accept or is not open to At-Tasdeeq (affirmation/belief) and At-Takdheeb (denial/disbelief) in the case where it does not inform of anything, but rather accepts and is open to the performance (Al-Adaa’) or non-performance (i.e. it requests the performance of a matter), then it is Al-Inshaa’. Example: “Qum FaSalli” (Stand then pray). This is not a Khabar (news) that is open to being affirmed or denied but rather it requests the performance of the Salaah i.e. it requests the performance of a matter. The one being addressed then performs the Salaah or does not perform the Salaah according to the evidences that are available to him… and so on. From the linguistic perspective this represents a Khabar (i.e. it is informative) however it establishes the request as it prohibits the Muslims from enabling the disbelievers to have a way over the Muslims… Similarly, what has been mentioned above about the Inshaa’ (bring about of somethings) is from the perspective of the origin of the Inshaa’ linguistically, however it is possible for the Inshaa’ to not establish the Talab Al-Haqeeqiy (true or real request) like in the statement: “If only my youth would come back to me one day”. This is Inshaa’ however it does not establish the Talab Al-Haqeeqiy but rather it is an expression of wishful hoping (At-Tamanniy). 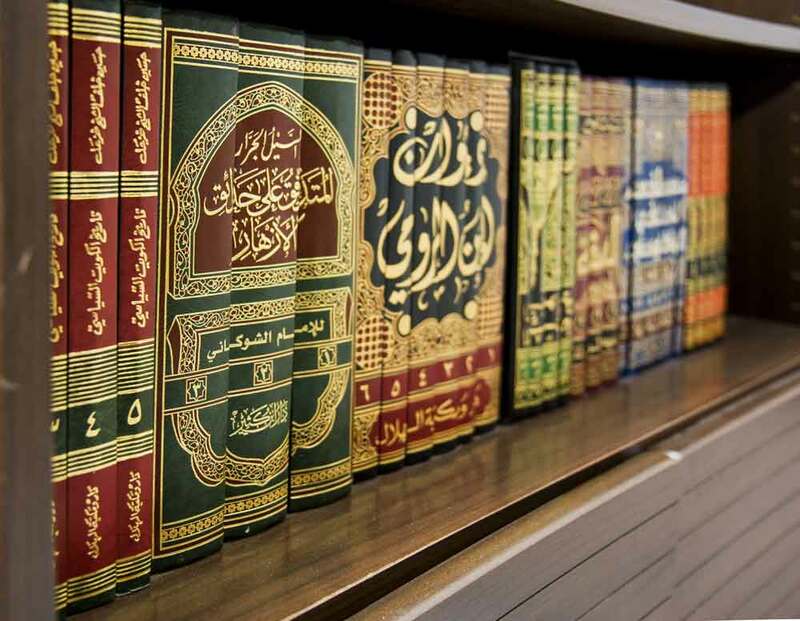 This is the meaning that has been mentioned in Ash-Shakhsiyah: “… Then, the Kitaab and the Sunnah are both divided into the Khabar and the Inshaa’, however the scholar of Usool only looks into the Inshaa’ and not the Akhbaar (plural of Khabar) due to the absence of establishing the Hukm by them in most cases…”. This then relates to the difference between the Khabar and the Inshaa’… and in respect to the deduction (Istinbaat) of the Ahkaam Ash-Shar’iyah being in most cases from the Inshaa’iyah texts which establish a Talab Haqeeqi (true request) and sometimes from the Khabariyah texts in the case where there is a Qareenah (connotation) which make it a Khabar with the meaning of the Talab (request). All of that is because the definition of the Hukm Ash-Shar’iy is: (The address of the legislator related to the actions of the servants in terms of Al-Iqtidaa’ (request to do or leave), or Al-Wad’i or At-Takhyeer (choice)) which means that it represents the request from the servants upon a particular angle. For that reason, if the text does not include a Dalaalah (indication) that establishes the Talab (request) as we have clarified above, then this text will not be viable for the deduction of the Hukm Ash-Shar’iy. And it was mentioned in the book ‘Al-Kawkab Al-Muneer’: “And the correct or valid (Saheeh) Daleel (evidence) from our Madh’hab and the Madh’hab of most of the ‘Ulamaa is: That the form of the contract and the annulment and what is similar to them, from that which its meaning is linked to the existence of its worded expression like ‘Bi’tu’ (I sold), ‘Ishtaraitu’ (I bought), Aa’taqtu (I set free), ‘Tallaqtu’ (I divorced/released), ‘Fasakhtu’ (I annulled) and what is resembles that, is from that which brings out through them Ahkaam as an Inshaa’”. Additionally, it was mentioned in the ‘Kuwaiti Fiqhi Encyclopaedia’: “The Fuqhaa’ have held that the explicit worded expressions (Al-Alfaazh As-Sareehah) in respect to At-Talaaq (divorce) are the form (Tallaqa) and what is derived from that linguistically and in custom like: ‘Tallaqtuki’ (I divorced you), ‘Anti Taaliq’, ‘Mutallaqah’ (You are divorced)”. The meaning of that is the that the forms used in contracts in terms of the language are Ikhbaar (informing). So for example, if a man was selling a garment and you approached him and said: ‘How much is this garment?’ And he said: ‘20’ and you said ‘Ishtaraitu’ (I have bought), then the word ‘Ishtaraitu’ (I bought) is the past tense that establishes a Khabar (news or informing) that the purchase has been completed in the past whilst in the case of the contract here the purchasing arises immediately (at that time) and not in the past. That means that the word ‘Ishtaraitu’ (I bought) is a Khabar (report/news) linguistically about the purchase that happened in the past however it was used here for the Inshaa’ (to make arise) the contract of the purchase immediately at that time. This is the meaning that has been mentioned in Ash-Shakhsiyah: “…However if they are utilised in the Shar’a to bring about a Hukm then it is transferred to the Inshaa’…” and the meaning mentioned in ‘Al-Kawkab Al-Muneer’: “…That the form of the contract and the annulment and what is similar to them… is from that which brings out through them Ahkaam as an Inshaa’”. He said: And because it is Haraam and there is no reason for its prohibition apart from it being a lie… However, Al-Birmawi said: Azh-Zhaahir (What is apparent (Zhaahir) is that it is an Inshaa’, in disagreement to him, because the intention of the one pronouncing it is the realisation of its Khabari meaning with the Inshaa’ (bringing about) of the prohibition. And so denial (At-Takdheeb) has been mentioned upon its Khabariy meaning and not upon what He intended in terms of the Inshaa’ (bring about of the) Tahreem (prohibition)…).